Every Friday evening, join us for an hour, or for many hours! We invite one and all to come on your own, with a group, or with a new friend, for the sole purpose of playing games (and maybe drinking a sake or two). Our normal, $5/person fee will apply, but it will also get you a soda, coffee, or tea. We have demos planned, sometimes fun, fast, and easy, sometimes classics like Catan or Carcassonne, and sometimes the heavier games like Terraforming Mars, Energy Empire, or Stone Age. 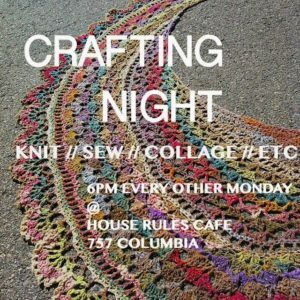 For those who aren’t crafty, but want to get their game on, let’s do it! 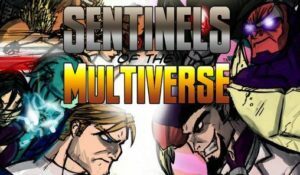 Every other Monday, while the crafters make things, we’ll also have a game of Sentinels of the Multiverse going. Up to four people at each table, playing as heroes working together to battle the Multiverse’s worst villains in some of the strangest locations! Every session, a different group will work together – will you join us?